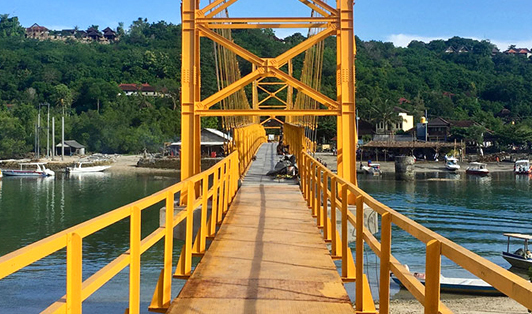 The yellow bridge sets as a connection point between Lembongan Island and Nusa Ceningan, and it’s another point which Ekaja Boat services operate between the two islands. Moreover, it is a great spot to capture some incredible surrounding views. The bridge is not far away, as it’s just 15 minutes ride from the town. Make sure to arrive at the bridge at least 30 minutes earlier for a smoother boarding process. The fast boat staff will be nearby to guide you through. Make sure that you have your printed e-ticket on hand. 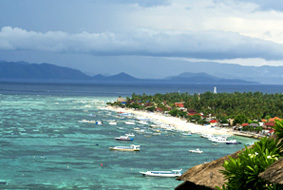 Passengers have to take local boat from Ceningan to Lembongan then take Ekajaya boat out from Lembongan. During low tide, you may have to walk a short distance in the water on your way out of the boat. So, dress accordingly. Happy sailing!